It was over 2,000 years ago that Jesus said “The harvest is plentiful but the laborers are few” and that is apparently very true today in the agribusiness world. The AgCareers.com HR Roundtable, which included more than 60 agribusiness companies and university representatives, highlighted the need for workers to meet the growing demand for jobs in the industry. 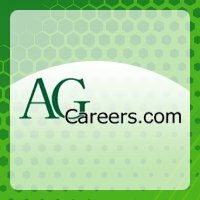 According to AgCareers.com President Eric Spell, more than one million agribusiness veterans are expected to retire in the next three or so years, while at the same time jobs in the industry are growing and there is a shortage of students who are graduating and taking jobs in the agribusiness field. To that end, AgCareers has adopted an employment program originally developed by the International Agri-Center called AgWarriors. “A returning military vet can post their resume which will be flagged with the AgWarriors logo so employers can search specific to that category,” said Spell, who noted that 35% of the jobs listed on AgCareers.com right now don’t require an agriculture education, such as logistics, accounting, paralegal, attorneys, and even nurses. Just like the military, agriculture is looking for (more than) a few good men and women to sign up for the future of our country and the world.